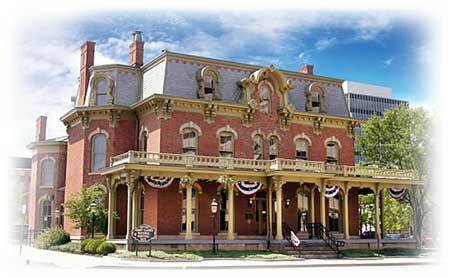 Welcome to our online tour of the historic Ida Saxton McKinley Home located in Canton, Ohio. On our tour you will be able to view photos of the interior and exterior of the home and details about the renovation process. Please select an area of the home above to begin your tour. You will notice throughout the tour that you can select other areas to view. Take a step back in time and join us as we tell you about the historic McKinley Home!